Lock in a great price for Limelight Hotel Aspen – rated 9.2 by recent guests! Everything from check-in to departure. Great location, rooms ver accomodating and spacious. Healthy breakfast bar including variety of protein. Outside pool and hot tub. Easy walking distance to lift and restaurants. Room was ideal; happy hour in the lounge area was really enjoyable; staff were friendly, location is amazing.. the hotel is a real gem! I hope to make this my regular spot in the future. Close to the ski lifts. Great customer service. Nice spacious rooms. Bar in hotel. Wonderful breakfast. Close to shops and dog friendly. Staff was friendly and very helpful. Breakfast was delicious with a wide variety of options. Location was convenient to the shops and restaurants. The hotel is awesome. For an affordable price (relative to Aspen) you get amazing staff, great breakfest, yummy restaurant food and great rooms and location with the added bonus of getting a ride anywhere you want. We had so much fun! Peter at the front desk was so helpful. His introduction to the hotel and Aspen were excellent. Our breakfast (included) was one of the best we've ever had in the states. So many options! Our room was clean, comfortable and light. The staff were friendly and helpful. Large room with a good view of the surrounding neighborhood. Fantastic breakfast. Right next to downtown Aspen. 1-2 blocks to excellent restaurants and shops. The location was great. Close to restaurants and shops. The staff was very accommodating and pleasant. Love the free breakfast and lounge. We will definitely be back on out next trip to Aspen. Thank you. Limelight Hotel Aspen This rating is a reflection of how the property compares to the industry standard when it comes to price, facilities and services available. It's based on a self-evaluation by the property. Use this rating to help choose your stay! 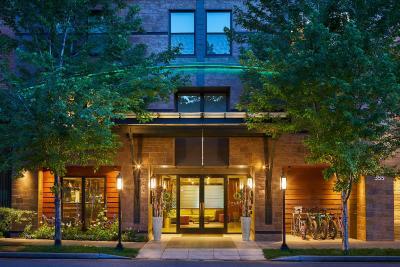 One of our top picks in Aspen.Within walking distance of Aspen Mountain, Limelight Hotel features guest rooms with free Wi-Fi and 32-inch flat-screen cable TVs. This Colorado hotel has an outdoor pool, hot tub and rooftop terrace. The guest rooms provide iPod docking stations and laptop safes. They also have seating areas, desks and ironing facilities. Limelight Hotel serves breakfast and offers a ski guide service and gym. A business center and meeting rooms are also available. 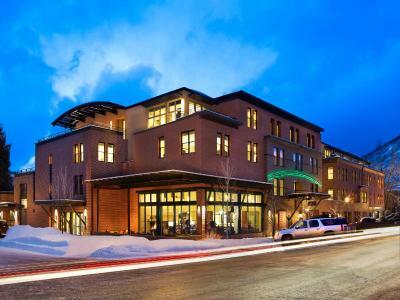 The Limelight Hotel is in a great location across from Wagner Park and is less than a half mile from Aspen Art Museum. It is 3 miles from Buttermilk Mountain Ski Area and 10 miles from Krabloonik Dogsled Rides. 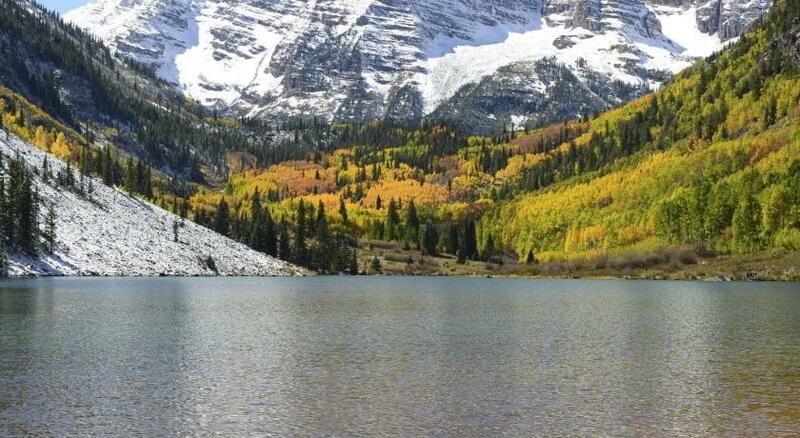 This property also has one of the top-rated locations in Aspen! Guests are happier about it compared to other properties in the area. When would you like to stay at Limelight Hotel Aspen? Stunning views of Independence Pass and nearby Wagner Park welcome you in this room. The modern décor and granite bath counters add an updated mountain touch. Features wireless internet access, iPod docking stations and flat-screen TVs. Public parking is available on site (reservation is not needed) and costs USD 18 per day. This deluxe room has a kitchenette and spacious bathroom. Comfortably contemporary with marble and granite surfaces and rich fabrics. Spacious room with a well-equipped kitchenette, large closets, iPod docking station and a flat-screen TV. Comfortably contemporary with marble and granite surfaces and rich fabrics. On the 3rd and 4th floors, these rooms offer comfort and luxury. The kitchenette, fireplace and flat-screen TV ensure a memorable Aspen experience. With unobstructed views of downtown Aspen, Aspen Mountain, Independence Pass, Red Mountain or Wagner Park. This deluxe room features a spacious bathroom and a flat-screen cable TV. Comfortably contemporary, this room is styled with marble and granite surfaces and rich fabrics. This spacious room has a fireplace, a terrace with city views, free Wi-Fi, an iPod docking station, and flat-screen TVs, a work desk, a kitchenette with a refrigerator, a microwave and coffee-making facilities. Contemporary mountain décor and a private bathroom with plush robes is also included. House Rules Limelight Hotel Aspen takes special requests – add in the next step! Limelight Hotel Aspen accepts these cards and reserves the right to temporarily hold an amount prior to arrival. Please note that the pool and hot tubs will be closed from 29 October 2017 until 12 November 2017. Alternative facilities will be offered off-site during this time. Please note that the tourist tax is calculated based off the room rate combined with the service charge. I asked for a quiet room. I was given a room directly above the bar and the adjacent function room that is used for parties. There was a party the night I stayed and my room actually vibrated and shook from the music. Sorry but not impressed. The open restaurant area is used as multifunctional space, in the morning for breakfest, after 10 am and befor 3 pm as lounge and after 3 pm as restaurant area. You do not get any drink or snack befor 3 pm. The room is quite open to the hotel entrance and therefore quite drafty and parially cold. We missed a cosy place where we could sit back relaxed (without all the foreign restaurant guests), have a drink or just read a book! Mostly at breakfest time nobody took the used plates of the people who had breakfest before and left away, so we often had put the used dishes away and clean the table, befor we took our own breakfest! Limelight hotel is very central in Aspen, only few minutes walk to many restaurants, bars, ... and only a short 10 mins walk to Queens gondola on AJAX. Much space in the room (Grand de luxe), nice view to the mountains. Breakfest good, but for people used to breakfest in Austrian ski resorts not comparable. Service at receiption desk was very friendly and helpful. Shuttles to all skiing areas were offered complementary and perfect for us (Aspen highlands, Buttermilk, Snowmass). For a hotel that costs over $500 a night for a standard king room, the breakfast was decidedly underwhelming. The scrambled eggs were tasteless. Bacon was available only one morning out of the three we stayed there. Never had sausages. Croissants were good but were really burnt on top one morning, and they still put them out on the buffet. We asked the concierge to make reservations for us for a horse sleigh ride, and he never got back to us. We had to go back the next morning and were told by the front desk that the reservation had not been made. The front desk person called right away and made our reservation. She said they were sending out some paperwork for us to fill out. She would give it to us when she received it by email. She never got it to us. Bed was comfortable and room was spacious. They have underground heated parking. Staff was friendly. Convenient location. You're able to walk to downtown, bars and restaurants and the gondola. Toiletries were very nice, especially the body lotion. Some construction noise on the property. Only wish we had booked a second night ahead. We'd have stayed another night, but it was sold out. I thought breakfast bar could have been cleaned up and presented better than it was each morning. Tables should have been bused faster. Yet, the staff was running around so i think it was more of a staff scheduling issue than anything else.